White House chief of staff and retired Marine Corps Gen. John Kelly talked President Trump out of ordering the withdrawal of all U.S. troops from the Korean Peninsula earlier this year, according to a report Monday by NBC News. According to two officials cited in the NBC report, Kelly and Trump had a “heated exchange” before February’s Winter Olympics in South Korea, and Kelly strongly persuaded Trump to not order the withdrawal, which would have had historic implications on decades-old regional alliances and North Korean deterrence efforts. Multiple officials said Kelly’s success in talking Trump out of undoing decades of U.S. foreign policy was another example of Kelly’s common refrain that, “I’m the one saving the country,” NBC reports. “The strong implication being ‘if I weren’t here we would’ve entered WWIII or the president would have been impeached,’” one former senior White House official was quoted as saying in the report. Kelly has made similar comments to legislators, and he has mocked what he views as Trump’s lack of policy and government knowledge, according to current and former officials, NBC reports. 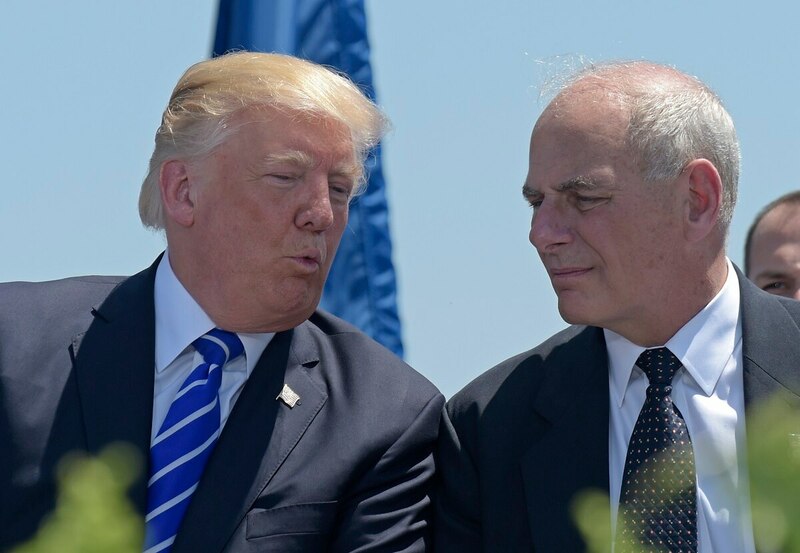 The report also notes that Kelly has eroded morale in the West Wing and referred to Trump as “an idiot” multiple times, although other unnamed sources in the report dispute that. While Kelly has cultivated a public image as a squared-away four-star general, NBC reports that he has been undisciplined and indiscreet as chief of staff. Nine months into the job, Kelly could become the next high-level staffer to depart the Trump administration, according to the NBC report. Monday’s report isn’t the first time that Trump’s attitudes toward U.S. troops in South Korea has come to light. The Washington Post reported in March that Trump threatened to pull the roughly 30,000 U.S. troops out of South Korea if he didn’t get his way on trade.